Like all budding entrepreneurs Christina spent a little time exploring advice and stories from others before she took the entrepreneurial leap to startup alone. 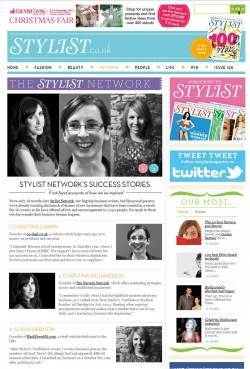 One such event was the Stylist Network inspiration evening, and a year later Christina was interviewed as one of their success stories that got on with the starting! Read the piece here.